Having transformed into an industry leader in design, quality and technology, KIA Motors reached historic new heights today when J.D. Power recognised the brand as the highest scoring nameplate in its 2016 Initial Quality Study (IQS) out of all 33 makes in the U.S.A. Marking the first time in 27 years that a non-premium brand has topped the rankings, KIA’s rise to the top was driven by segment-leading performances from the Sportage and Soul, while Rio, Cerato and Sorento all ranked in the top three of their respective categories. As KIA’s U.S. sales have consistently grown over the last four years to surpass the 600 000 annual unit mark, so too has the brand’s performance in J.D. Power’s Initial Quality Study. 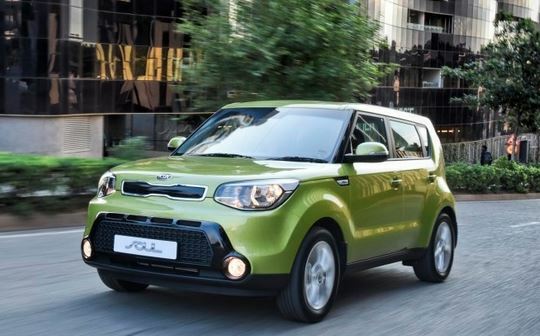 After entering the overall top 10 for the first time in 2013, KIA placed second in the industry (after Porsche) and led all non-premium makes in IQS in 2015.